Major Lazer is back with their new style of “Let Me Live ringtone” featuring Mr. Lazer. Eazi, Anne Marie and Rudimental. 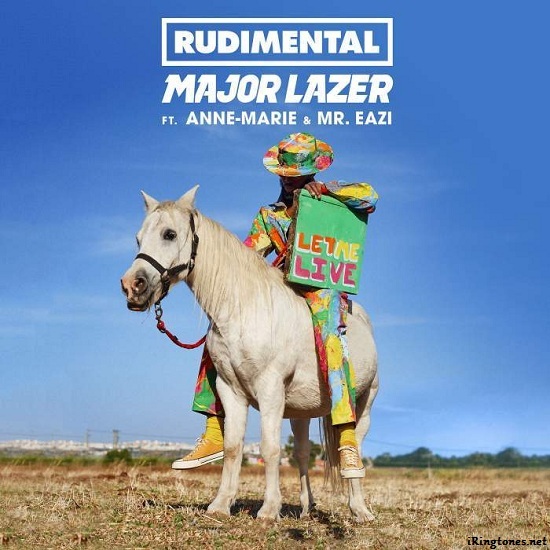 A unique combination of Major Lazer’s Dancehall song when they invited Rudimental trio, known through Drum & Bass to collaborate on “Let Me Live”. “Let Me Live ringtone” is the sweet and seductive of the dancehall genre, slowly melting into a strong kick. All 6 of our producers know how to highlight the great voice of Anne-Marie and the singer Mr.. Eazi. The song stretches vibrant, fun and bright from start to finish. Lyrics: Let me live ringtone – Rudimental & Major Lazer.